A great future begins with a Bright Start! 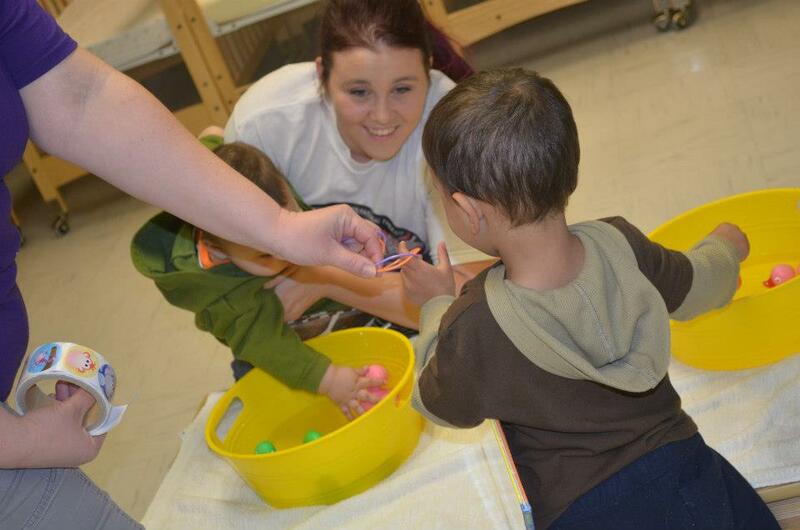 Bright Start childcare provides outstanding childcare for children 6 weeks through preschool. 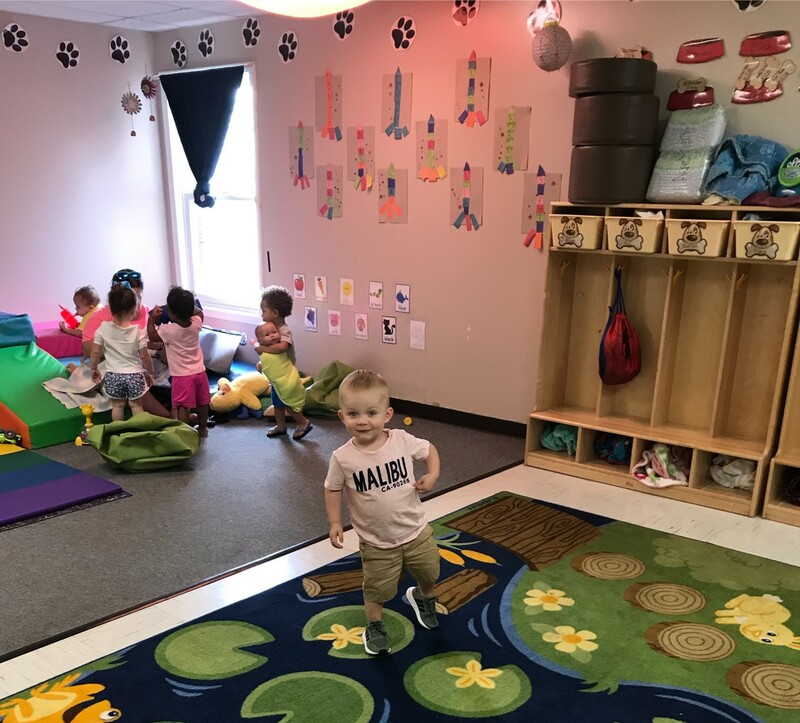 We offer a faith-based curriculum, and age-structured rooms that allow teachers to help children learn in a safe, loving environment through discovery and play. Interested parents are invited to contact 244-2462. Assistance may be available through the IDHS Assistance program if you qualify (see chart below). 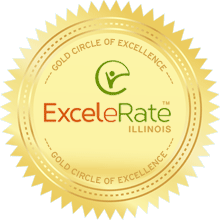 Bright Start childcare has been rated The Gold Circle of Quality by ExceleRate Illinois. These programs have met the highest quality standards in three areas: learning environment and teaching quality; administrative standards; and training & education. Programs are actively engaged in continuous quality improvement. 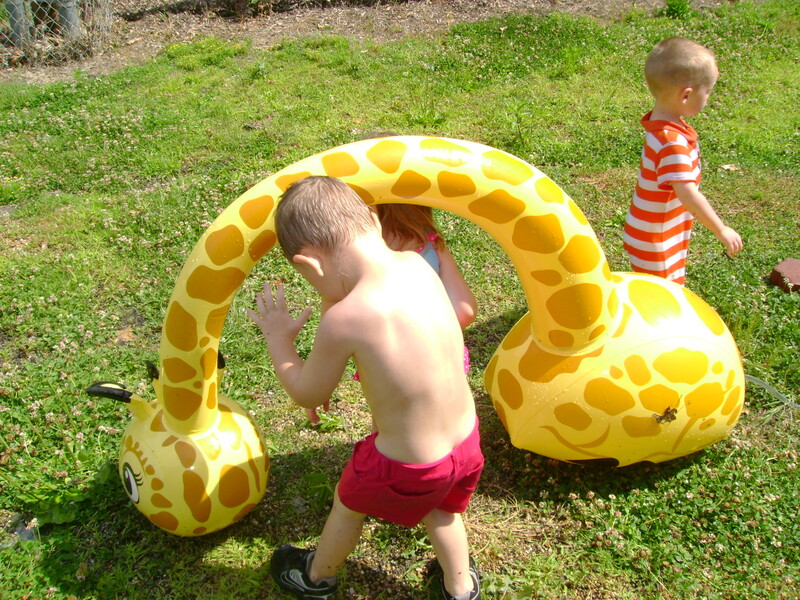 A provider’s participation in ExceleRate means they have gone the extra mile to help make sure children are receiving an enhanced learning and day care experience. Quality care can help children succeed in school and in life. It is an accomplishment to be shared with families served and the community. Rooms are separated by age group: infants, toddlers, two-year-old, and preschool. 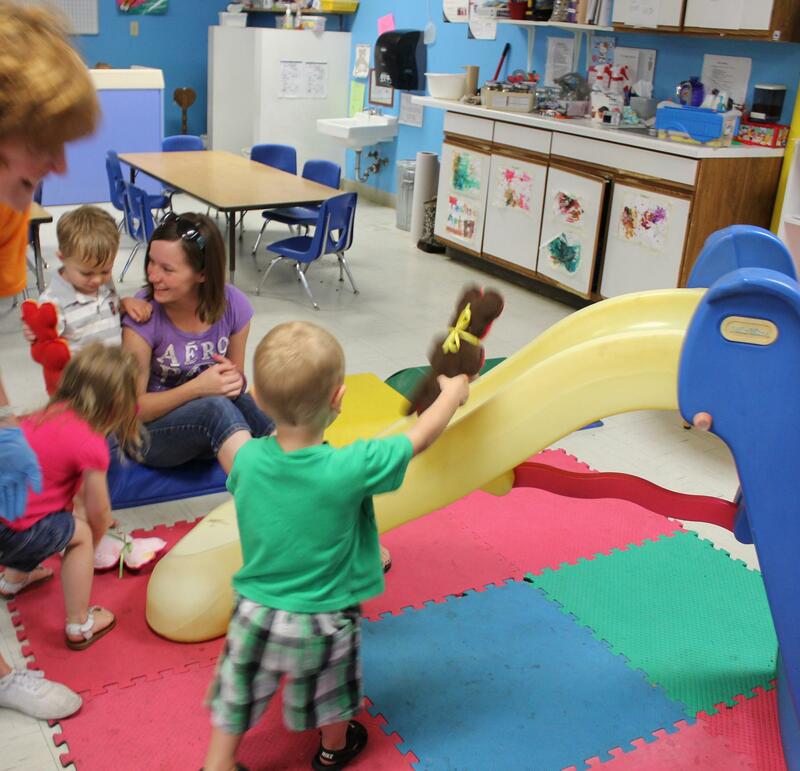 Each room has age appropriate learning centers which include toys that facilitate learning through play. Bright Start has a site-contract with the IL Department of Human Services to determine eligibility for the Child Care Assistance Program. This is a program that provides assistance to working parents. We can determine your eligibility on-site immediately so your child can start receiving services. Check the copay charts below to determine what your monthly copay will be. Please call for questions or further assistance. 1. Call 618-244-2462 to ask for openings. 2. Pick up our enrollment packet and tour our facility. There are 3 pages which need to be filled out by the child care center and returned to Project Child. The parent/guardian is required to submit the Project Child application and other needed documents to the Project Child office. 4. Bring back completed packet, pay the required fees, and schedule the planned start date. Private Pay clients are responsible for paying $25 registration fee and first week’s tuition. Project Child clients are responsible for paying the $25 registration fee and can begin attending once the approval is obtained from Project Child. 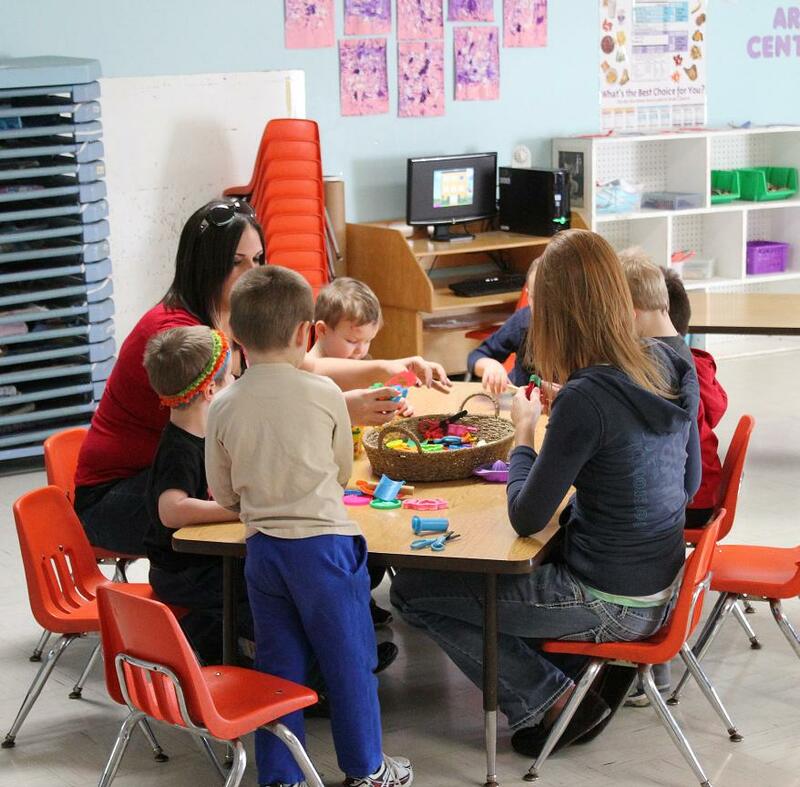 ExceleRate Illinois named Bright Start childcare “The Gold Circle of Quality”.